The data you gather from a survey is only ever as good as the questions you ask. 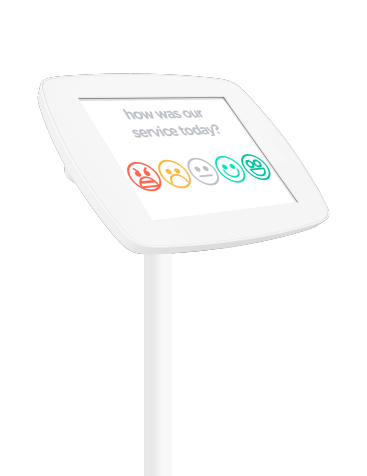 That’s why Surveyapp uses universally recognisable smiley emoticons to let you create surveys that are recognisable, encouraging and visual, delivered via attractive and easy-to-use terminals. The best data is fresh data, collected at the point of experience. Trouble is, traditional email and telephone surveys often take place days after the event. Surveyapp is different. It lets your customers provide feedback straight after they’ve experienced your services – and before their memories fade. 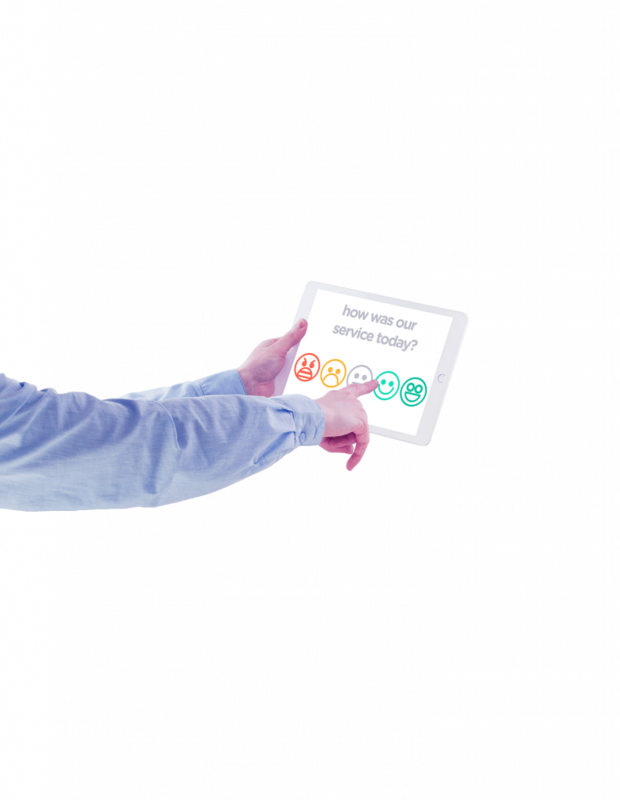 By asking pertinent and timely questions, our smiley survey app lets your staff keep an eye on service levels in real time, or gather more detailed insights to analyse and act upon later. Your customers are busy people – that’s why surveys created with Surveyapp are designed to be short, quick and focused. 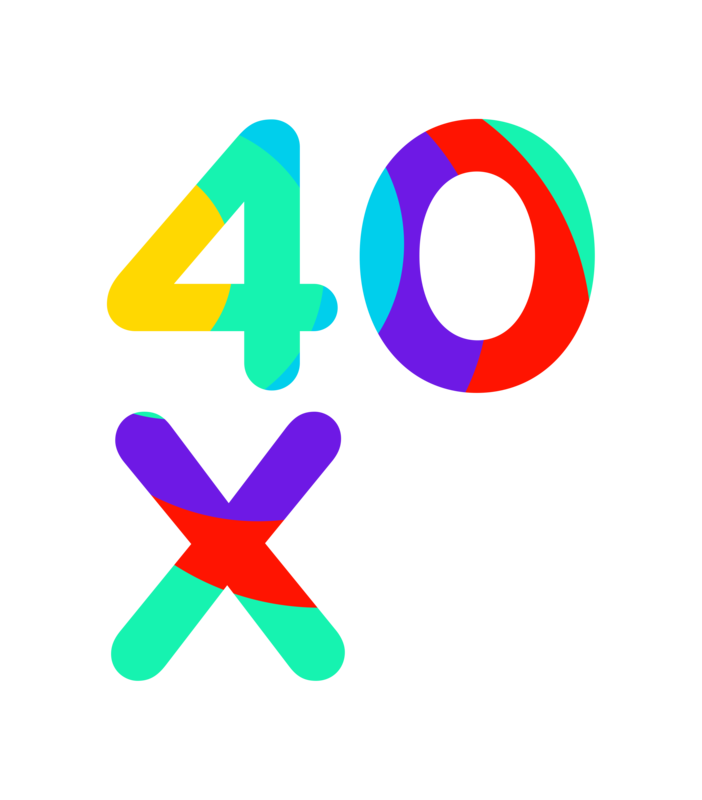 By making it easy for customers to leave feedback while passing through, Surveyapp typically attracts 40 times more responses than traditional paper, email or telephone surveys. Surveyapp lets you build your own smiley survey questions, without restrictions, so that you get the feedback that’s important to you. You can also ask follow-up questions, to probe the reasons behind a customer’s rating, and help you deliver an even better service. Ask further smiley-face questions, compose a custom question, capture free text, or use the ten-point Net Promoter Score (NPS) scale – the choice is yours. 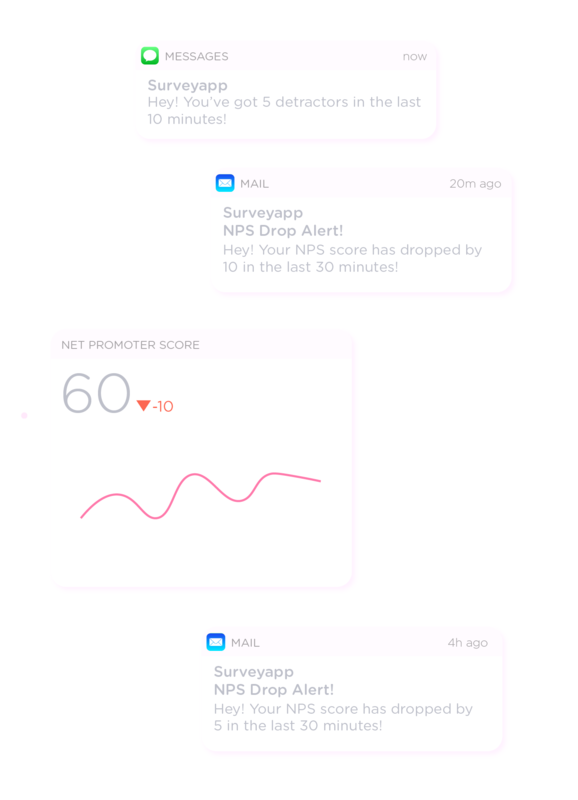 Surveyapp lets you customise the look and feel of your survey – letting you convey your brand not just through the tone of voice of the questions, but visually as well. A beautiful design interface, with text and icons taking up perfect proportions of the screen, maximises readability. And subtle animations, once a respondent has answered a question, provide reassurance that the feedback is being collected. The versatility of Surveyapp makes it perfect for gathering feedback from customers, employees or students. 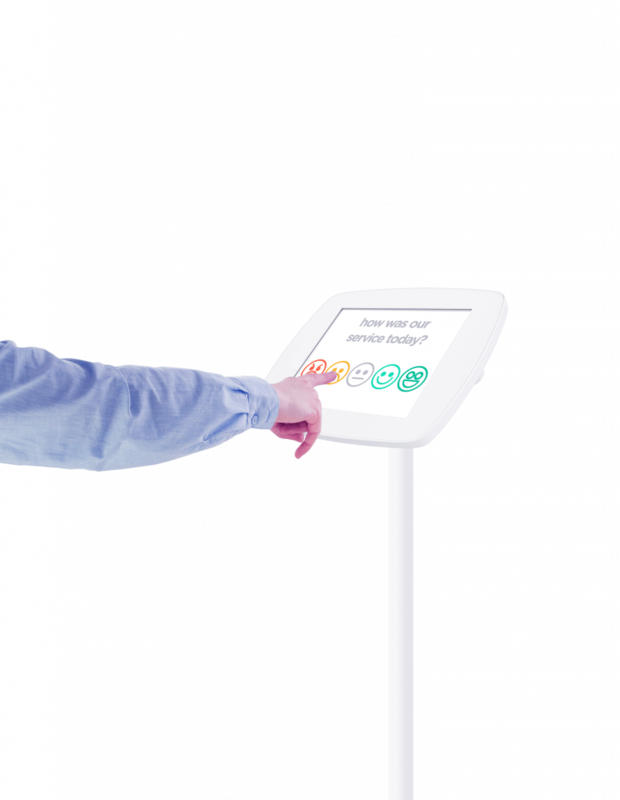 Organisations are using Surveyapp in airports, transport hubs, hospitals, shopping centres, workplaces and schools, but it’s ideal for conducting timely surveys in any high-traffic environment. 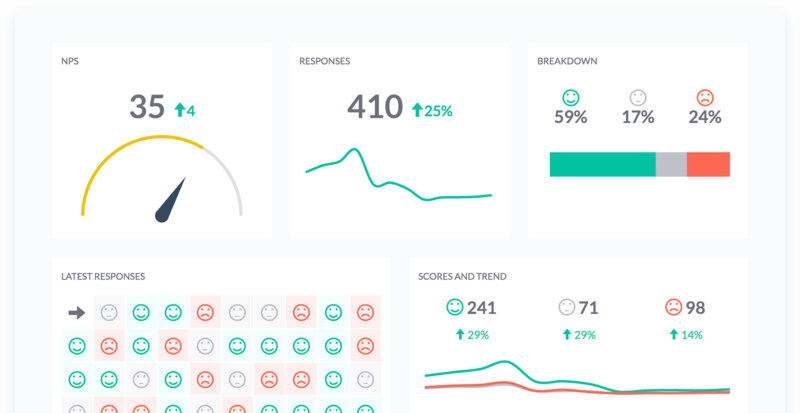 Surveyapp combines continuous, real-time feedback with detailed insights. Understand why customers are happy or unhappy, spot important trends, and identify priorities for action. Armed with Surveyapp’s in-depth reports, you can target improvements to your organisation on the things that will make your customers or users happiest. 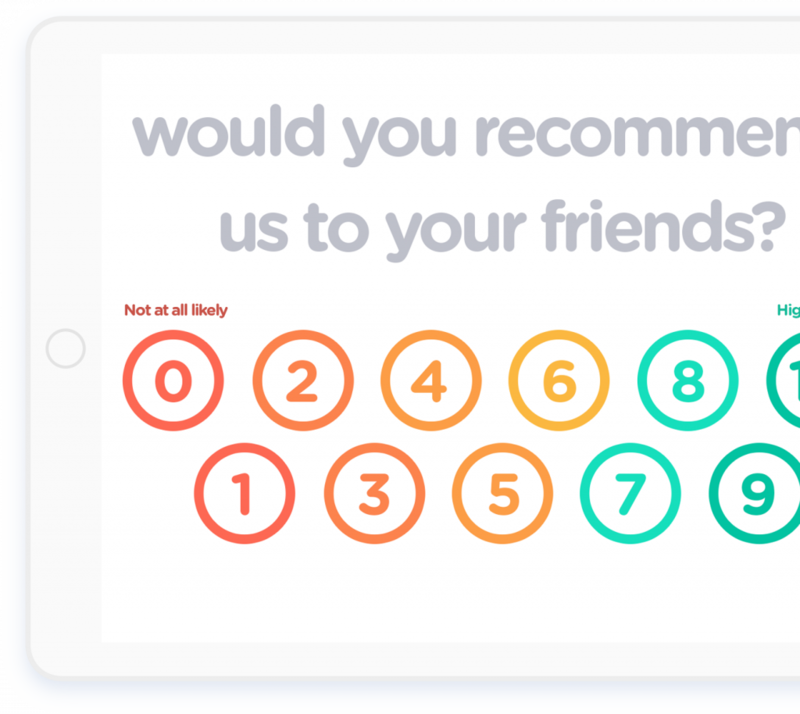 Start collecting feedback with smiley surveys on your iPad or Android tablet.